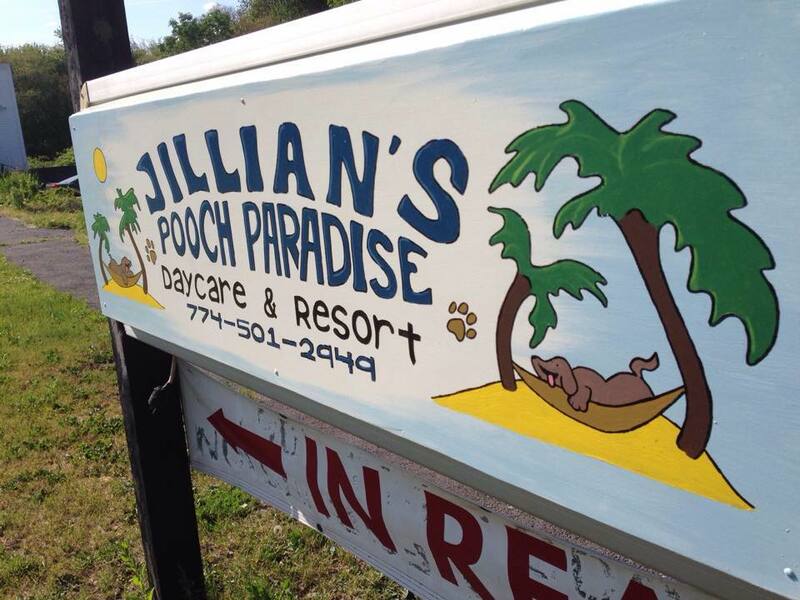 Jillian's Pooch Paradise - Where every day is a vacation! Jillian's Pooch Paradise Daycare & Resort is a top of the line doggie daycare and boarding facility located at 890 Broadway Rear Building Raynham, Ma 02767. Jillian's Pooch Paradise offers play group doggie daycare with supervised indoor and outdoor play areas, overnight boarding, and grooming! Training classes are also offered which are hosted by the wonderful Michaela Collins from Om Obedience. We also have a section called the Meow Mountain Lodge for cat boarding! We are experienced and enthusiastic about all pets. We take pride in knowing our facility is safe and clean. Jillian's Pooch Paradise is insured and is a fully alarmed facility. We dedicate our time to making our facility a clean and safe environment for your pets. Don't leave your pets home alone all day when you can bring them to Jillian's Pooch Paradise! We have overnight staff for boarding dogs, cats, and small exotic pets. We are conveniently located on 138 in Raynham, right off exit 8 on 495. We are minutes away from Taunton, Bridgewater, Norton, Easton, and Foxboro.